Absent from the international scene since a shock first round exit in mid-August in Bulgaria at the hands of England’s Liam Pitchford and notably not present at the recent Marvellous 12 in Shenzhen, Ma Long, the reigning Olympic and World champion, returns to duty. He is the no.11 seed in the men’s singles event at the forthcoming Seamaster 2019 ITTF World Tour Platinum Qatar Open; play commences in Doha on Thursday 28th March, being preceded by a qualification tournament which begins on Tuesday 26th March. Notably, his name also appears on the entry list for the Lion 32nd ITTF-ATTU Asian Cup Yokohama 2019; the three day tournament commencing on Friday 5th April. Conversely the defending champion in Qatar, Fan Zhendong does not compete in Doha, nor in the women’s events do the names of Chen Meng and Zhu Yuling. All compete in Yokohama; of those members of the Chinese national team on duty in both tournaments, Ma Long is alone. Hours of training, hours of practice but nothing can beat the heat of competition. 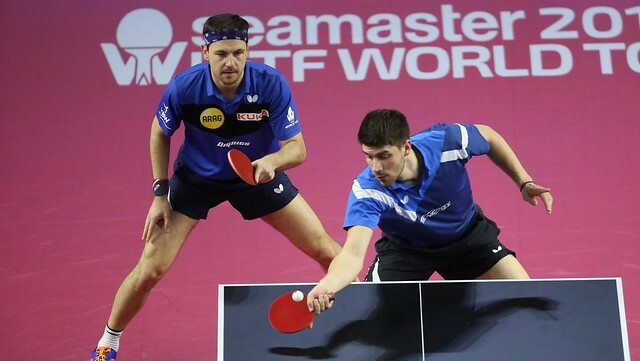 Furthermore, in Doha that heat may well prove intense at an early stage; in the second round of the men’s singles event, the potential opponent is Germany’s Timo Boll, the no.4 seed and the player who won in Doha in 2009 when he beat China’s Ma Lin. Should that contest accrue then potentially Korea Republic’s Lee Sangsu, the no.6 seed or Japan’s Jun Mizutani, the no.9 seed, could await. Negotiate that round, a place in the semi-final and if no hiccups, no upsets, Xu Xin, the top seed, is the most likely adversary. He is the man, who alongside the now retired Croatian, Zoran Primorac, Ma Long vies for the honour of being the most successful player in the history of the men’s singles event in Doha. Xu Xin and Ma Long have each won three times; Xu Xin in 2011, 2012 and 2014; Ma Long in 2013, 2016 and 2017 but neither matches Zoran Primorac. He won on three consecutive occasions. He succeeded in 1998, 1999 and 2001; there was no tournament held in Doha in 2000. A potential opponent in the final, Chinese Liu Gaoyuan is the no.2 seed but if he is to reach the gold medal contest, he will need to be at his very best; he appears in the same half of the draw as Japan’s Tomokazu Harimoto, the no.3 seed and Brazil’s Hugo Calderano, the no.5 seed, both players against whom in the past he has experienced defeat. However, first he may well have most testing hurdles to overcome. The possible second round opponent is Korea Republic’s Jang Woojin, the no.10 seed but note who could be next. Hong Kong’s Wong Chun Ting, the no.7 seed and Germany’s Dimitrij Ovtcharov, the no.13 seed, are scheduled for a second round engagement. Winner of the CCB Europe Top 16 Cup in early February, after a disappointing 2018, Dimitrij Ovtcharov is back to his best; now the question posed is will Ma Long be back to his best or how long will that take? In time for the Liebherr 2019 World Championships?